Make sure the movers can reach you both in transit and at your destination; if they cannot reach you, your goods may be placed in storage, and you will incur additional charges to have your belongings delivered at another time. You will then be responsible for contacting the mover and arranging for an alternate delivery date. Communication between you and your mover is crucial during this phase of your move. Have the utilities turned on at your new home the day before the movers are scheduled to arrive with your belongings. Be sure you are there when the movers arrive. Plan to stay there while they unload and be available to direct the movers where to place your furniture, appliances, etc. As your household goods are unloaded, check for damage or missing items by verifying the delivery of all goods listed on your inventory list and bill of lading. If at anytime during the day you are unable to be there, make sure an adult authorized to take your place is there and identify this person as your representative to the mover. If any of the cartons have visible damage, open them while the movers are still there and note any damage to the contents on the driver’s copy of the inventory before signing it. Report any other damage, as goods are unpacked, as soon as possible and save all of the packaging materials and cartons for your moving agent to inspect. Be prepared to pay the full amount of the estimate on the day of delivery, using one of the accepted forms of payments. According to Chapter 507, Florida Statutes, movers must place your belongings inside of your dwelling upon payment of the full amount of the estimate. This does not preclude the mover from charging you for additional legitimate services not known at the time of the estimate. 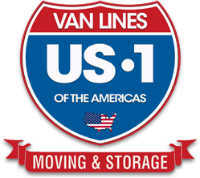 Such services include “long carries” (generally when circumstances require items to be carried more than 50 feet from the van to the dwelling), “shuttles” (when circumstances require that items be transferred to a smaller truck for delivery), and any other situations that can increase the time and effort required to complete the move. Whenever possible, try to notify the mover of any obstacles upfront to assist you in getting an accurate estimate. If you have chosen a Professional Mover – you should be enjoying your new home as quickly as you can unpack those boxes. Better yet, unpacking may be one of the additional services your mover can provide for you to make the transition to your new home even easier.